Several of our clients have worked with us on whole-house remodels – an ideal way to update and upgrade to a new home, without having to move. 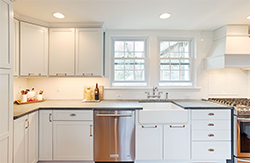 But what if you want a brand-new kitchen, but can’t take on a whole-house makeover? 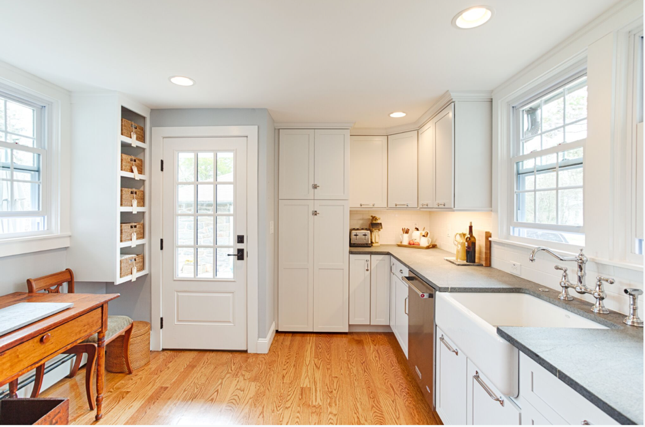 Through our collaborative Design-Build process, we helped this family solve their kitchen needs and integrate the design seamlessly with the existing home. During the first phase of the planning process, we met with the homeowners to assess their needs and how they wanted to use their new kitchen space. 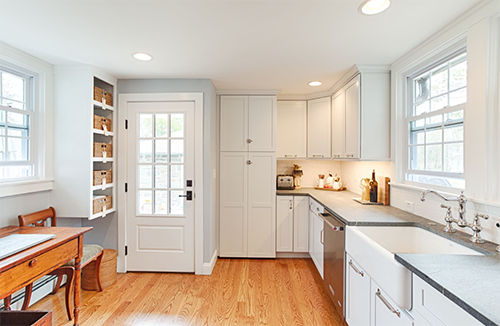 Through the design process, our designers helped the homeowners select the materials for the kitchen. 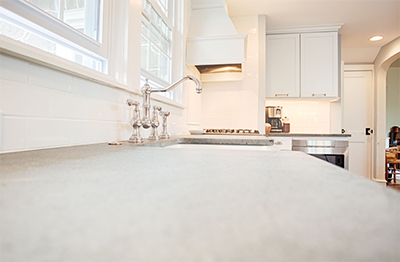 Incorporating a few traditionally inspired, but modern design elements, such as this faucet and the farm sink – added key details to integrate the kitchen with the rest of the house and allowed the homeowners the ability to incorporate their personal style. With the design complete and selections made – the build phase of the project went smoothly. Our craftsmen were able to add custom elements such as built-in organization shelving. You can see how the accuracy and detail of our team was able to utilize even an awkward area and create a seamless transition from the new to the existing portion of the house. The fall is the perfect time to beginning the planning phase of construction projects to start in the spring. Contact us to schedule a complimentary project assessment.